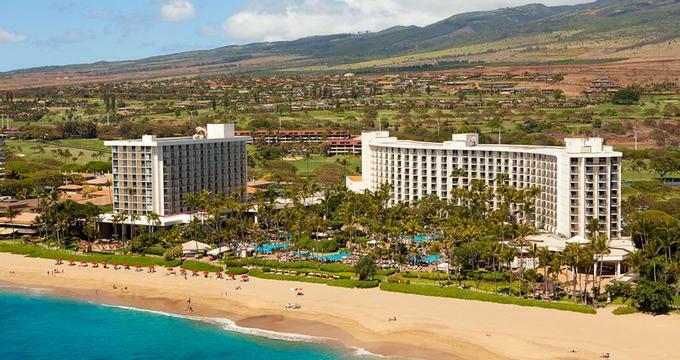 Kaanapali Resort on West Maui, Hawaii, is a popular destination for families. Featuring a three-mile stretch of beach, several hotels and condominiums, the destination receives over half a million visitors each year. In the winter, whales can be seen swimming just off the beach. The area keeps growing its offering of services and accommodations. The resort has two championship golf courses: the Tournament North Course and the South Course. There is a total of 35 tennis courts located at different resorts in the area. There are many great hotels and condos in the area, including Hyatt Regency Maui, The Westin Maui Resort & Spa, Kaanapali Beach Hotel, Sheraton Maui Resort and others. If you prefer to stay in a condo and enjoy the flexibility and savings of preparing your own meals, there are five choices: Kaanapali Alii, The Whaler on Kaanapali Beach, Outrigger Maui Eldorado, Aston Maui Kaanapali Villas, and The Westin Kaanapali Ocean Resort Villas. Kids will enjoy riding the Sugar Cane Train on Lahaina-Ka-napali & Pacific Railroad, featuring vintage steam locomotives with open-air views. The historic town of Lahaina is only a 10-minute drive from the resort. Whalers Village offers shopping and dining, including international haute couture, art galleries, jewelry, beach gear and other shops. The resort is a popular family destination. Hotels offer programs designed just for kids and condos offer additional space, kitchens and washer/drier facilities. The resort has three miles of beach where you can snorkel, bodyboard, build sandcastles and watch whales in the winter. Accommodation choices range from moderately priced condos to luxury hotels. Kids as well as grown ups can play golf since Kaanapali Golf Courses offer a Junior Golf Program in the summer months. There is also the Sugar Can Train, over 60 shops, swimming pools, the free Whale Museum and relaxing spas. Several hotels have programs designed especially for kids. There is Camp Hyatt, the Westin Keiki Kamp and the Keiki Aloha Club where children can spend their time learning and enjoying fun vacation activities (additional fees apply). Kaanapali Beach Hotel gives guests 12 and younger a passport at check-in which kids can fill with stamps at different destinations within Kaanapali. This is a fun activity for the whole family to enjoy on vacation. The Maui Marriott Resort & Ocean Club features a 3.5-acre Super Pool with a special keiki area called Shipwreck Deck. Hyatt Regency Maui offers family vacation adventures that can include teens and parents, including scuba lessons, catamaran sailing on the 55-foot Kiele V, and a rooftop astronomy program called Tour of the Stars. The five condominiums at Kaanapali Resort offer the option to cook your own meals and save on vacation. The condos have kitchens and private lanais. Maui Kaaanapali Villas gives young guests an "ASTONishing Kids" card that entitles them to free meals, merchandise, and admission to activities such as the Atlantis Submarine and the Hawaii Nature Center. The beachfront condo Kaanapali Alii offers at least 1,500 square feet of space including kitchen, two full bathrooms, and washer-dryer. The free Alii Kids Club comes with a goodie-bag, visor, free meals, and invitations to activities ranging from lei-making to a high-tech tennis camp.